The Coal Miners favorite drink made easy. Now available, a quick and easy way to make The Coal Miners most iconic and infamous beverage ! 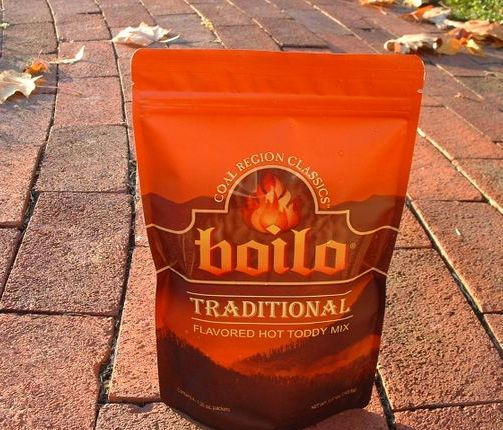 One Pouch of Boilo hot toddy mix , contains enough packets to make 4 - 750ml bottles of Boilo !! Just add 1 packet of mix, 16 oz. of water, 3/4 cup of honey, and of course, 1 cup of Four Queens 101 proof blended whiskey in a blender !!! Bump the blender slightly to prevent over foaming , and pour a serving into your favorite microwaveable cup for warming. Warm at 10 second intervals to prevent overheating. You want to drink it hot like coffee but don't burn yourself ! !